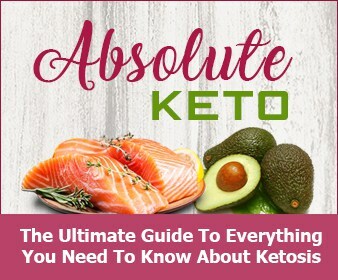 Ah, the keto diet. It’s so easy to maintain, on a daily basis. Well, almost daily. 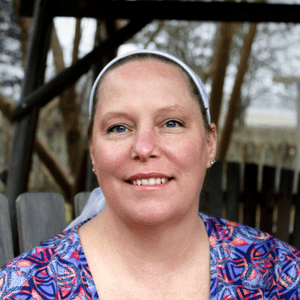 Those times when you have a special occasion such as a birthday or anniversary or a Tuesday night make it more difficult to stay on track. To be completely transparent with you, Tuesday night happens on a regular basis. Like once a week. Did that surprise you? While I don’t like to get off track very often, living with carb loving people makes it more of a challenge. Take the Frenchman, for example. He loves his sugar, his desserts, and his rich foods. I can totally get on board with most of his culinary desires, but when it comes to sugary treats, I have to say “no”. 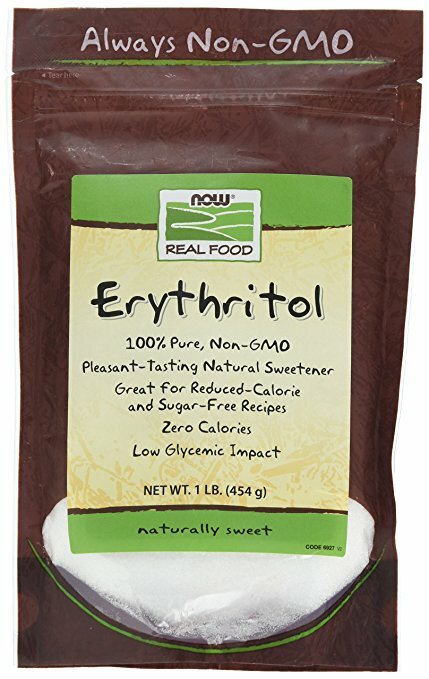 When I make him dessert, I often replace sugar with erythritol. You know what’s amazing? He doesn’t always notice. 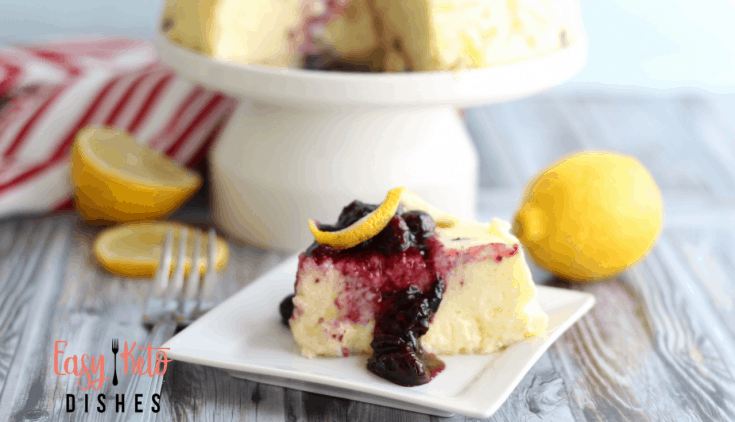 Since his favorite dessert is cheesecake, I thought I would try a low carb cheesecake. This may be a bit high in carbs for a keto cheesecake, but if you have the extra carbs to spare for the day, it’s perfect. Most of the time, I would bake cheesecakes, or even make fat bombs like these. Those, however, tend to NOT fool the Frenchman at all. He knows those are keto friendly, sugar free cheesecake substitutes. I can’t get away with anything here. 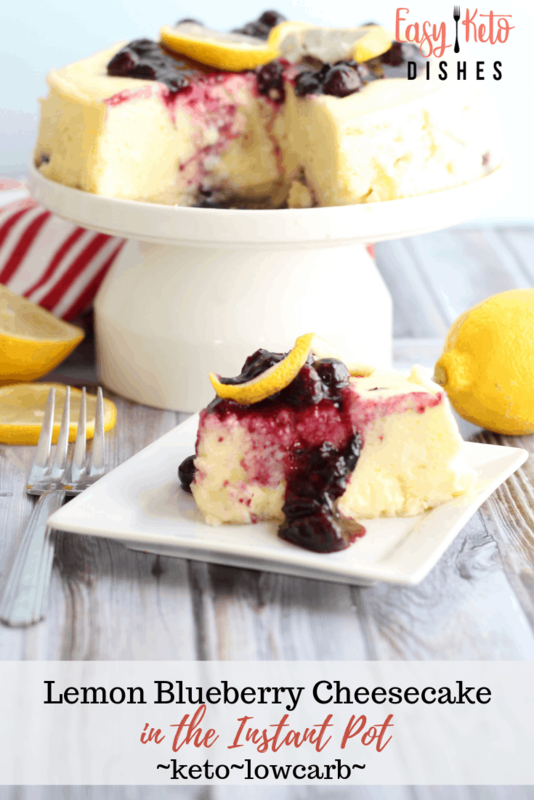 Making a keto lemon blueberry instant pot cheesecake has combined the best of both worlds. Do you still need to snag an Instant Pot? Grab one here! I can have a treat with my family, and the Frenchman gets his desserts. He rarely notices that the “real sugar” is replaced with a more insulin friendly option. It’s got the rich, creamy, fluffy texture that he loves. 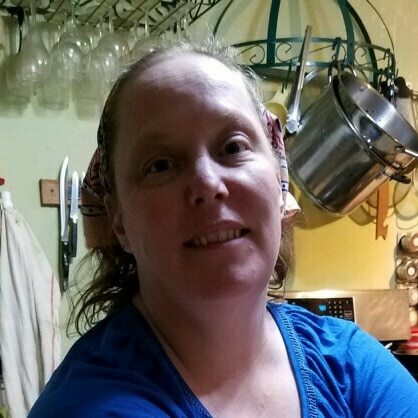 With the Instant Pot, the Frenchman gets it in almost no time at all. All that, and I can keep from dealing with blood sugar spikes. Win win, in my book. My hubby agrees with the Frenchman that this tastes just like the regular New York style cheesecake that they both have loved in the past. 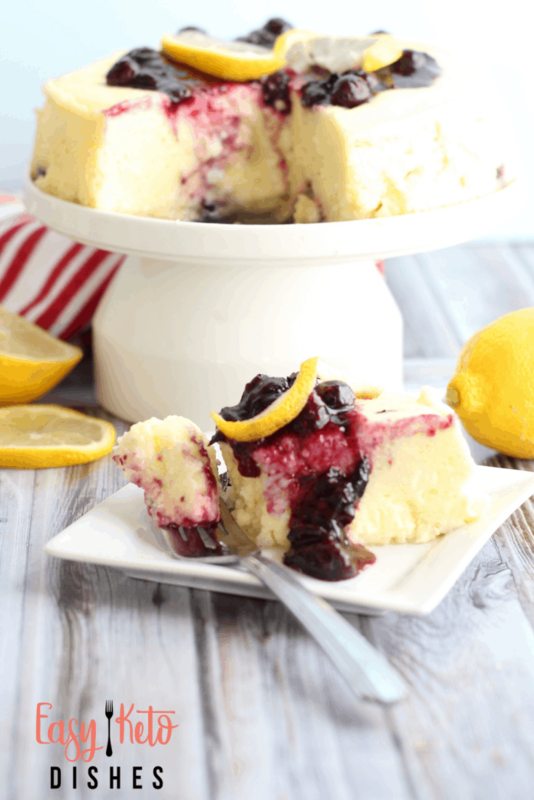 Lemony rich slices practically melt in the mouth, with a sweet tang of blueberry compote added. 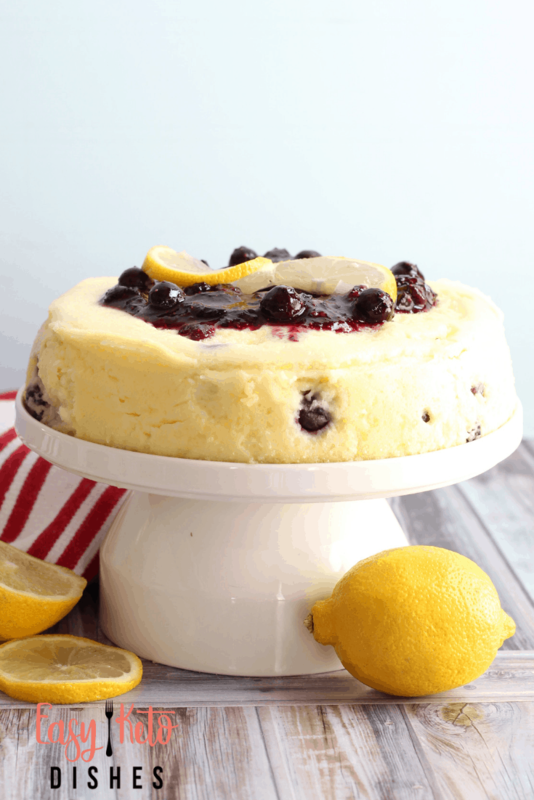 If you really wanted to lower the carb count a bit, you could remove the blueberry topping from the cheesecake. However, if you have the extra carbs for the day, why not enjoy them? What is your favorite flavor of cheesecake? 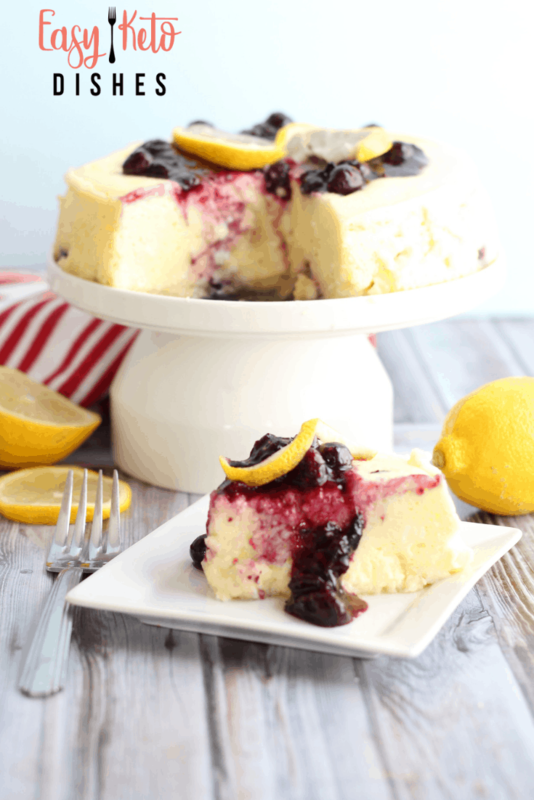 Will you try this keto lemon blueberry cheesecake? 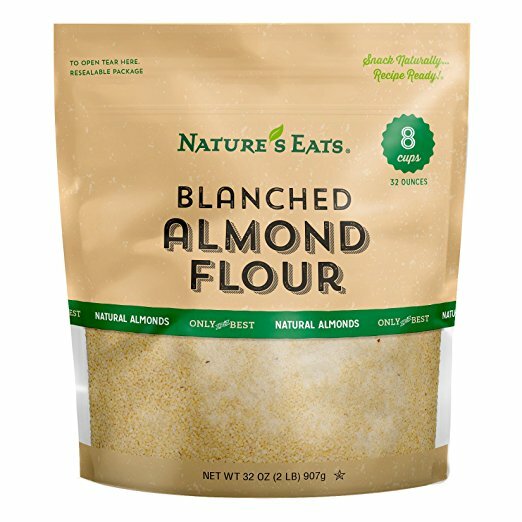 Add almond flour, 1 Tablespoon erythritol, and solid coconut oil to a bowl. 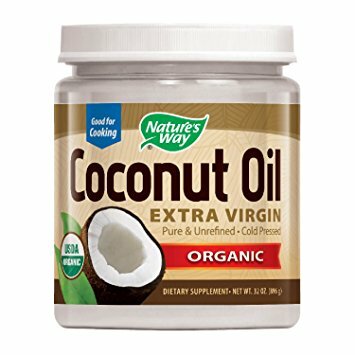 Cut oil into coconut oil until crumbly. Lightly grease a 7 inch springform pan with coconut oil. Press almond flour mixture into the bottom of the pan. Allow cream cheese to soften at room temp for 20 minutes. In a stand mixer with a mixing blade attachment, mix the cream cheese, heavy cream and erythritol until well blended. Add in eggs, one at time, mixing to incorporate. Add in 1/3 of the blueberries and stir with a spoon to blend in carefully. Pour cheesecake batter into springform pan. Add 1/2 cup of water to the bottom of the instant pot, and set trivet inside. Cover the springform pan with aluminum foil. 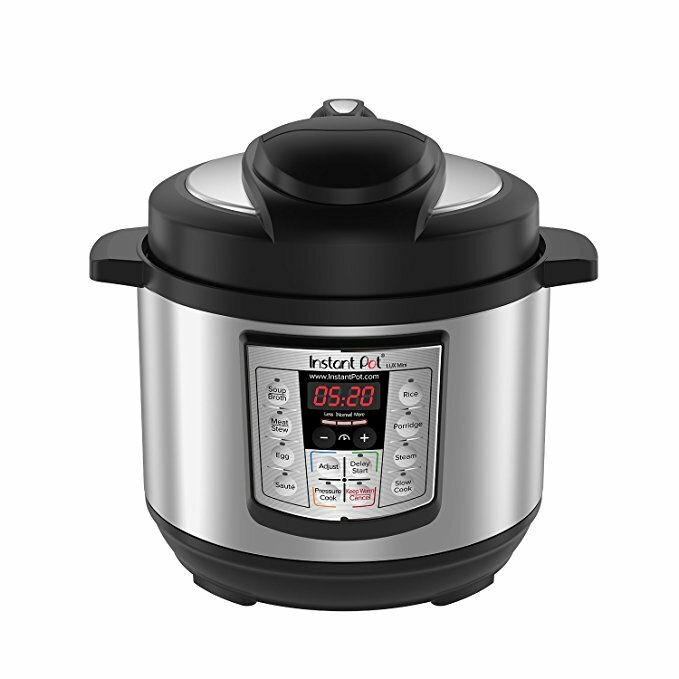 Set instant pot to "manual" for 30 minutes. Cook for 30 minutes on high, then allow to release pressure naturally. Remove from instant pot and allow to cool fully before slicing. 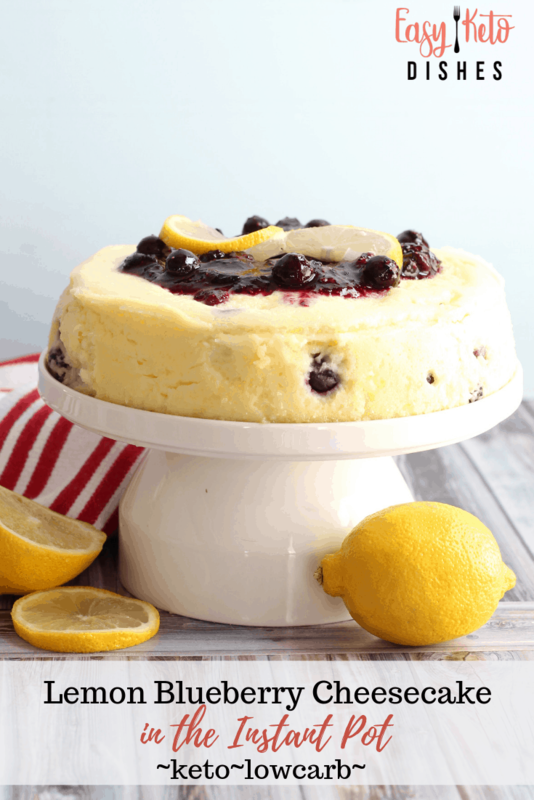 While cheesecake is cooking, make the compote. In a small pot, add remaining blueberries, lemon juice and erythritol. Simmer on low heat, stirring constantly to avoid burning. Simmer for 10 minutes, allowing blueberry compote to thicken slightly. Spread on top of cheesecake before serving.